Crown Hosting® have been offering professional Web Hosting services since 2004. Along with hosting for your website, our services also include Domain Name registration, eMail, Webmail, VPS and SHOUTcast internet radio services. 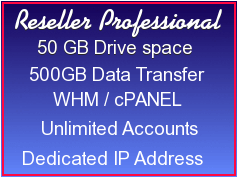 Reseller hosting opportunities are also available. Our hosting services will look after your website and mail on our own data servers. This removes the need for you to buy and maintain expensive hardware, and also will counter the disadvantages of using a free service which will not allow you to have your own registered domain name. We operate from data centres in Europe and North America and employs high-speed connections to the Internet, using T1 connections that are linked directly to the T3 lines that form the backbone of the Internet, ensuring high data-transfer rates. In order to keep this equipment running, we employ multiple power supplies, including stand-alone generators, to ensure that power is available at all times. Our data servers are housed in climate-controlled rooms and technical and support staff are available 24 hours a day, 7 days a week. All web hosting includes a cPanel hosting control centre. Website Names. If you already have a domain name or website name registered thats great, all you need to do now is select one of our domain hosting packages. If not then choosing and registering a domain is the first step you must complete before creating your website and/or using email. Use our website name checker below to see if your preferred domain name is available, and then select the domain extension like .co.uk or .com or .plumber etc. Build a website. if you have never had a website before and would like a head start we offer a free 3 page WordPress starter website to get you going with all our annual hosting plans. Free pages include a home page, an ‘about us’ page and a contact page. Domain registration prices are very competitive and if you select to have one of our hosting packages and pay yearly we will waive the registration fee! Free 3 page WordPress website. Web Hosting starts with a domain name and here at Crown Hosting Services we have a great search and register tool to help you find your choosen domain name. If you have ever thought about running your own website then surely one of the biggest drawbacks is “how am I going to run it? what do I need to make it work? And what about email?. A few years ago running a website meant having all kinds of technical skills. Thanks goodness those days are gone thanks to our cPanel hosting which enables you to create and maintain your website with ease. 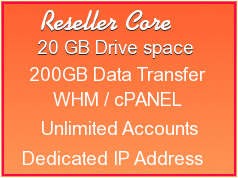 cPanel is the internet’s most widely used graphical hosting control centre. Its web based so you can access it from your browser (such as FireFox, Chrome, Opera etc ) using any computer, mobile phone, tablet or laptop. It even has a Site Publisher to quickly create a website from a set of available templates. This allows visitors to see some basic information while you continue to develop your website. Languages supported include English, Portuguese, French, Dutch, Norwegian, Spanish, German, Russian, Ukrainian & Bulgarian. eMail. Our hosting service provides full email account software including our MailScanner email spam and anti virus tools, and our WebMail hosting app which means you can access your mail accounts to send and receive email using just your web browser from any internet connected device. Advanced features like creating or editing MX records are also included. Auto APP installer. Whether you want to start a website, blog, forum or online store our one click script installer ‘Softaculous’ has the right software for your needs. With over 400 FREE Preinstalled scripts and 1115 PHP Classes, our pro version ‘Softaculous’ app installer is included free with all our hosting plans making life much easier by allowing you to easily install any popular application/software without any technical or web hosting knowledge. From AbanteCarte to WordPress to Zen Cart, we have them all! A Virtual Private Server (VPS) will gives you more control over your available resources compared to shared hosting. Your website and data is placed in a seperate partition on our servers, within which the resources are entirely your own to manage. Our popular Crown VPS deals include SolusVM a powerful user interface based VPS Management Software that allows you to control every aspect of your OpenVZ virtual machine using your web browser, this is in addition to full SSH ( secure shell ) access. More info….. Looking to start your own internet radio station? Its real easy with our SHOUTcast Hosting streaming servers which are now offering a FREE 7 day trial! 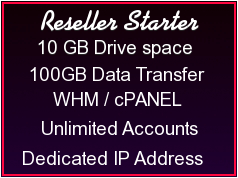 Reseller shoutcast deals are also available. Free Website Migration If you need help transferring your existing website to us we offer a free website transfer service. Supply us with your cPanel backup and we will do the rest! Webmail Hosting Our WebMail services allows you to use your hosted domain name with us to send and receive your emails using just a web browser (like Chrome or Firefox) from any smartphone, laptop, tablet or internet enabled device where ever you happen to be! Business email. Our Business email service is also available.